Preheat oven to 180C. Toss Cauliflower in olive oil, sweet and smoky paprika and a good pinch of sea salt. Arrange onto lined baking tray and roast for 25-30 minutes. Cook for the lesser duration if you like your cauliflower to maintain a bit of crunch. Whilst cauliflower is cooking make the guac by mashing together all ingredients in a bowl. 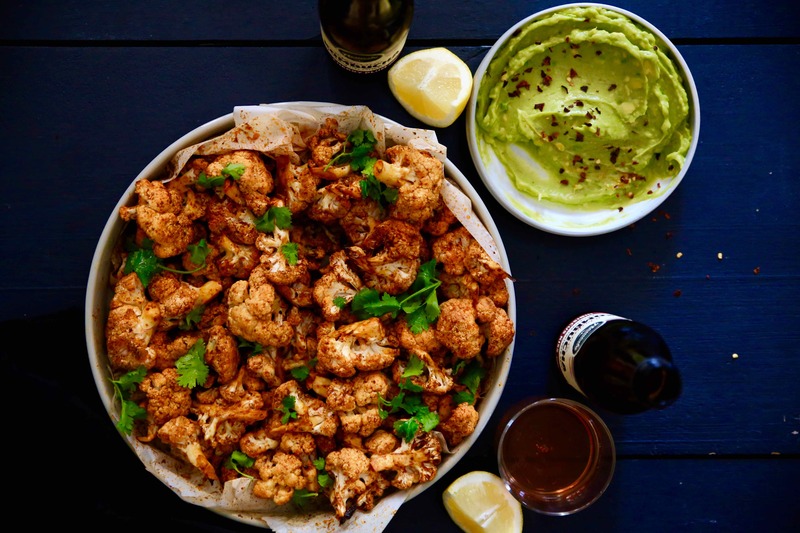 Once cauliflower is cooked, pop it into a large serving platter and serve with zesty guac.